Israel has suspended granting work visas to foreign charity workers delivering aid to Palestinians, according to AFP. Humanitarian organizations have noted numerous refusals or delays on the part of the Israeli government for over a year, affecting dozens of aid workers as they try to enter the country. Israel has suspended various visas since August 2016, and in June of this year stopped issuing the B1 work visa, the most common documentation sought by those working with NGOs. Many are left working illegally on tourist visas only and fear that they could be expelled at any time. Israeli authorities deny that the delays have been intentional and the Ministry of Social Affairs has attributed them to “ongoing inter-ministerial considerations regarding the applications approval procedure”. Aid workers however, cite the length and extent of the refusals as evidence of other motives, pointing to the recent Israeli decision that would give the government the right to deny entry to those who support the Boycott Divestment Sanctions (BDS) movement. They argue that the right wing stance of Israeli Prime Minister Benjamin Netanyahu’s government have resulted in their work being curtailed. 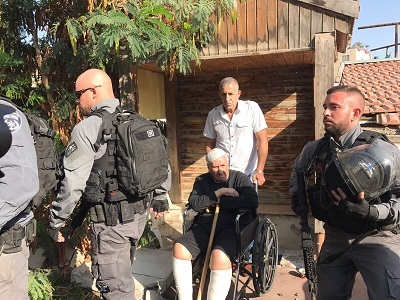 In the past, Israel has accused aid workers of supporting Hamas, and the Gaza head of the international Christian charity World Vision Mohammed El-Halabi, is currently on trial after facing such allegations. He denies all charges. In February, Israel also refused a visa to the US head of Human Rights Watch, claiming the group was “fundamentally biased” towards Palestinians. The authorities were forced to reverse the decision following international condemnation. 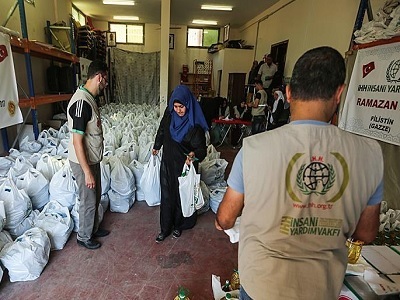 Palestinians in the occupied territories and the besieged Gaza Strip are heavily dependent on aid, the vast majority of which is distributed by international charities crossing through Israel. Such dependency has only increased in recent months as the situation in Gaza deteriorates even further. The coastal enclave faces an energy, water and healthcare crisis prompting UN Secretary-General Antonio Guterres on his visit to the region last week to label conditions as “one of the most dramatic humanitarian crises that I’ve seen”.